Learn more about ways to support MetaMovements and share your story as part of our Annual Fund campaign. Joining MetaMovements, whether as an artist, traveler, teacher, student, volunteer, or community member, means sharing a life-changing experience that is, in essence, a form of liberation. 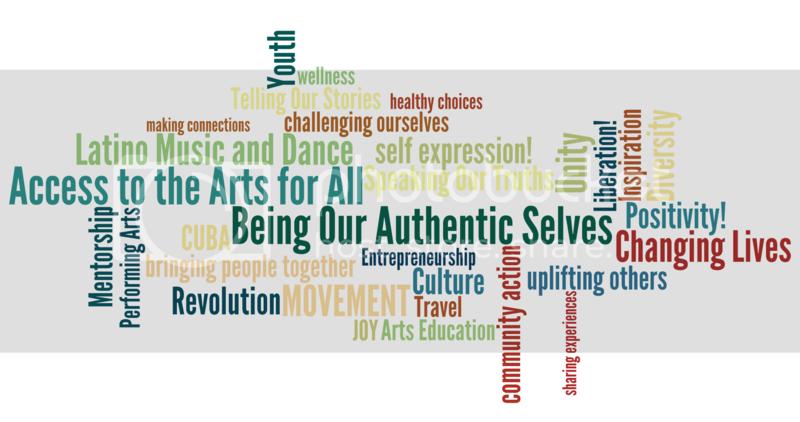 It’s about creating opportunities for equal access to the arts and arts education, celebrating cultural diversity, and making authentic connections across generations and cultures. Central to our mission is a desire to lift our community up, encouraging each other to be our best selves and live a life based in positivity. We want everyone to have opportunities for creativity, expression, entrepreneurship, joy, and success defined on their own terms: young people in our Youth Arts Ambassadors program, college students looking for a way to incorporate arts-based social justice into their education, everyday people who want safer spaces in their communities, and community elders in our Seasoned Salseros classes, just to name a few. And if they can enjoy a good dance party along the way, even better! There are lots of ways to get involved. A donation to our Annual Fund campaign, in any amount, will go a long way toward helping us continue to provide programming in the coming year. Click the Donate Now button below to be taken to our fiscal sponsor page, and select MetaMovements Community Project from the dropdown menu. Not able to donate? We would still love your support! Please email us at info@metamovements.com if you want to #JoinTheMetaMovement by volunteering, sharing an in-kind donation, or bringing us into your community. If you’re already involved in our programs and have seen the MetaMovements effect first-hand, or even if you haven’t joined us yet but something in our story resonates with you, we want to hear from you! Let us know by posting on social media using #WhatMovesYou and #JoinTheMetaMovement. Don't forget to tag @MetaMovements! We will add your testimonials to this page throughout the month of December.